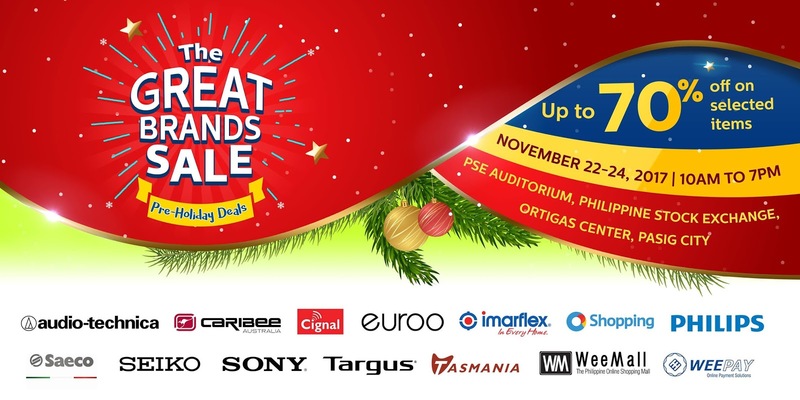 Check out The Great Brands SALE happening on November 22-24, 2017. Get up to 70% off on your favorite brands like euroo, audio-technica, Caribee, Philips, Sony, Targus, and more! 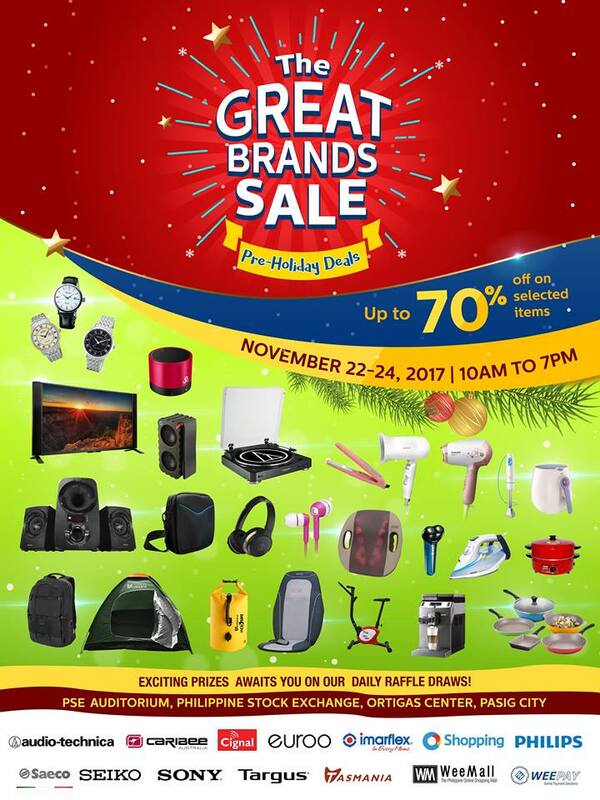 Participating brands/store: Audio-technica, Caribee, Euroo, Imarflex, Philips, Saeco, Seiko, Sony, Targus, Tasmania, products from OShopping, and more!